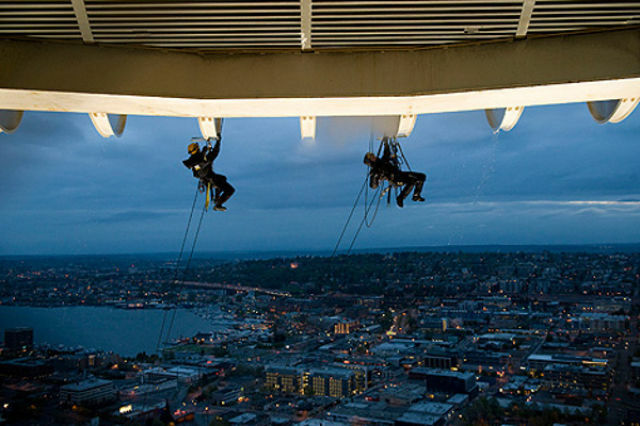 These cleaners are clearly fearless. 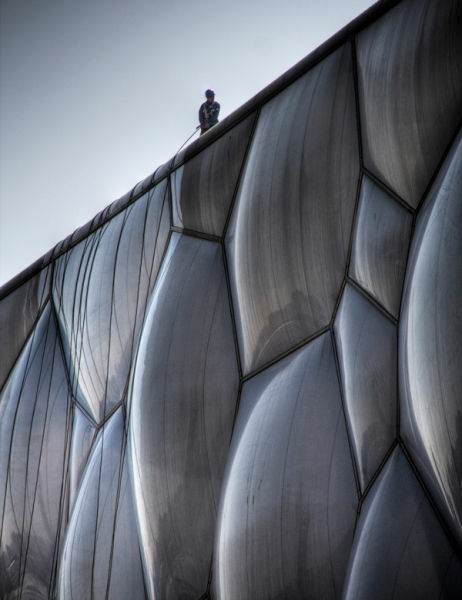 They do their jobs from so far up that people look like ants to them. 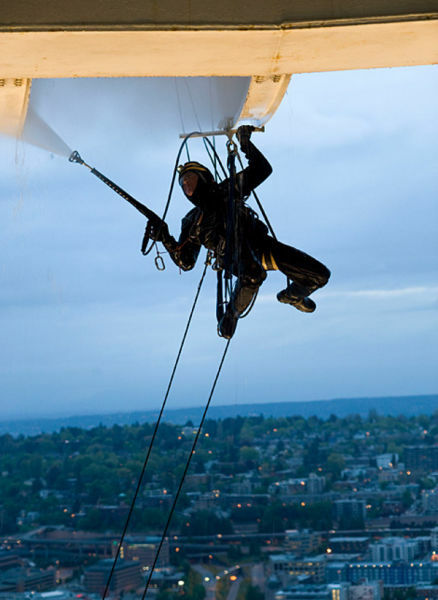 They clean everything from the Eiffel Tower to Mount Rushmore to high rise windows and everything in between. 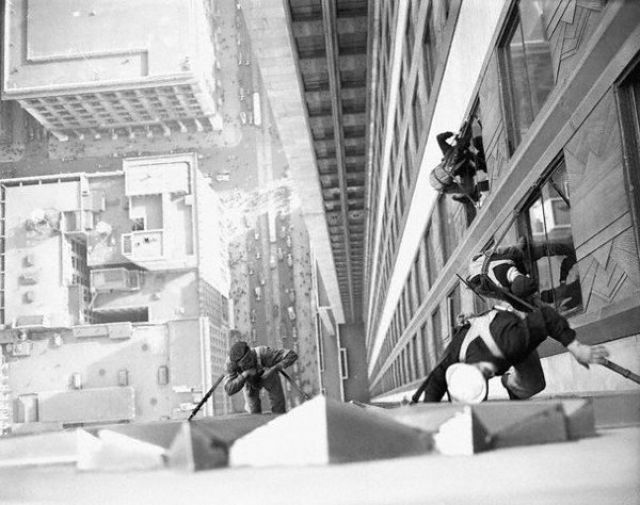 Workers calmly clean the Empire State Building in 1932, attached to its exterior by way of a simple harness. 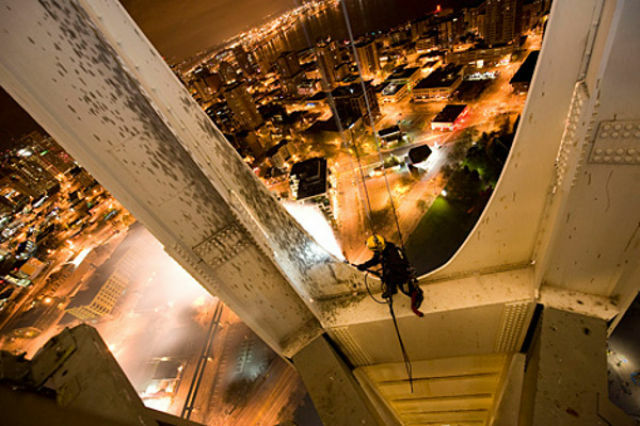 Pedestrians on the streets below are nothing but dots in the distance. 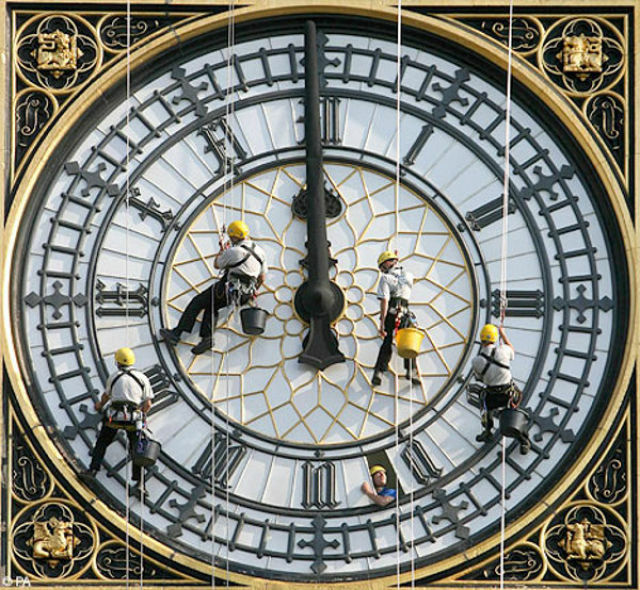 In 2007, a team of workers hang in front of Big Ben, bucket in hand, and clean the clock-face. 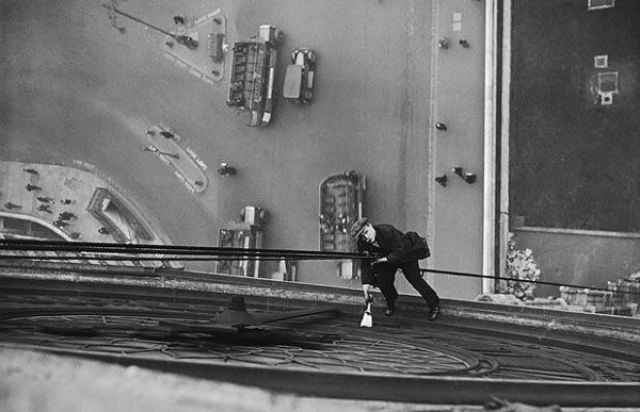 In the next photo, a Mr. Larkin is lowered from the top of Big Ben to do the same job, but in 1930. 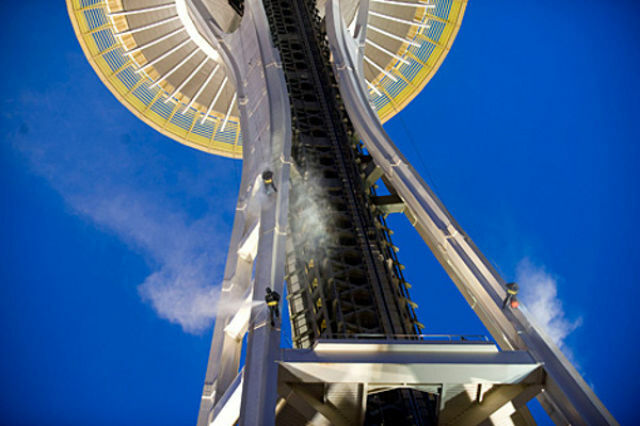 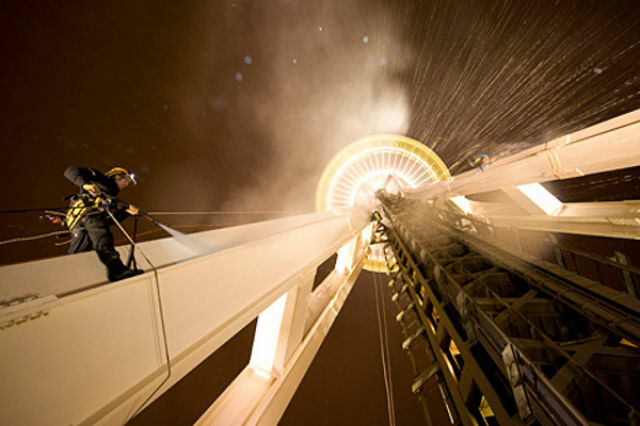 In 2008, three gutsy employees of Karcher GmbH & Co ascended Seattle’s 600ft-high Space Needle and blasted its exterior with pressure washers; its first clean since 1962. 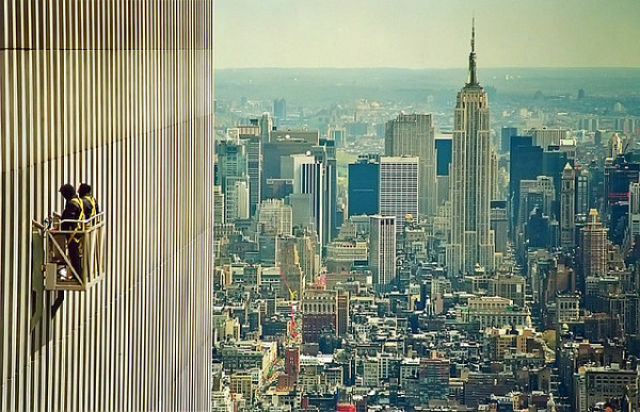 Two brave men clean the North Tower of the World Trade Center, then the tallest building on Earth. 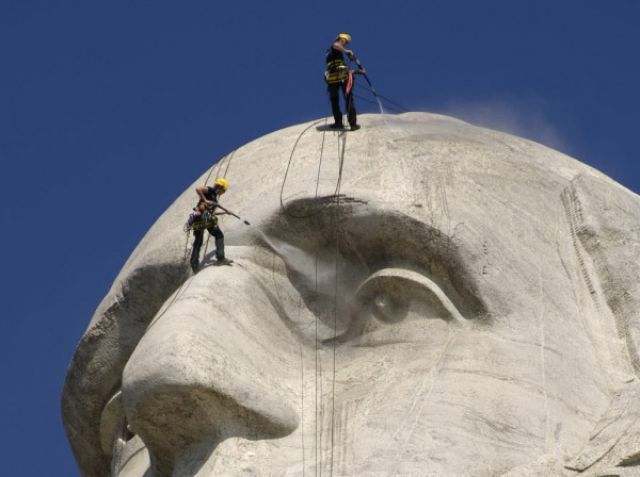 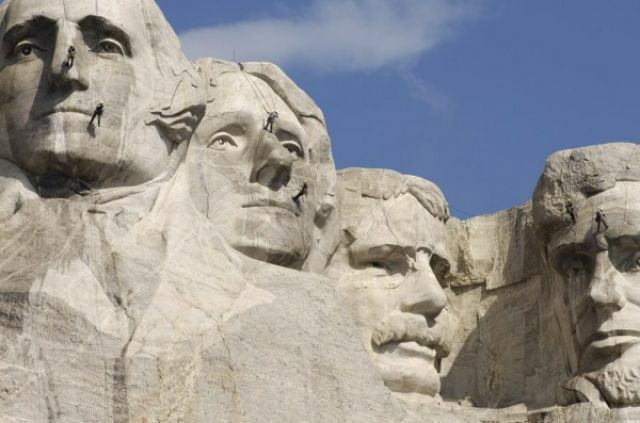 In 2005, five pressure washers filled with cold water were carefully aimed at the Mount Rushmore sculpture in a bid to clean its four enormous heads. 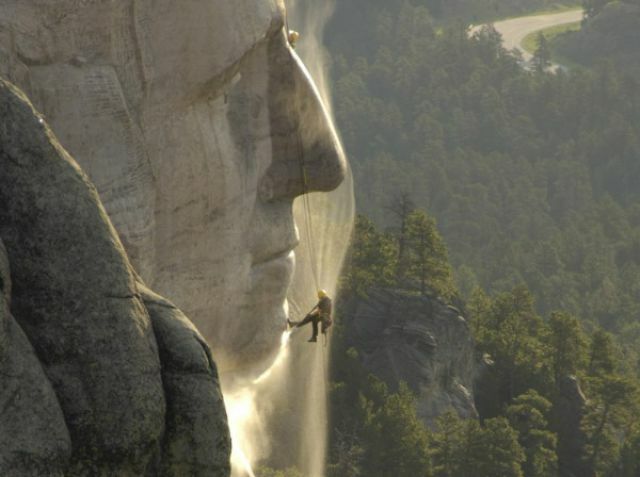 The job took three weeks to complete. 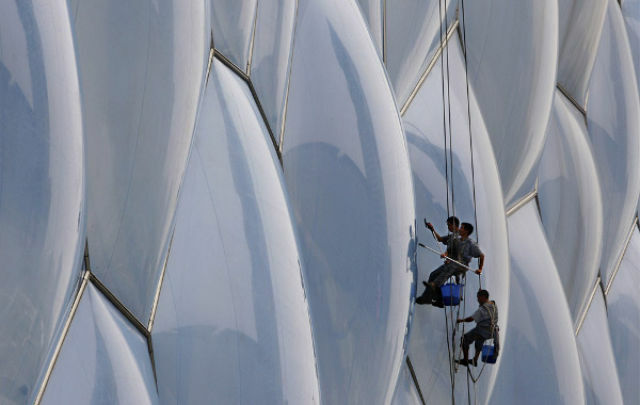 Prior to its opening as a venue for the Olympic Games in 2008, the bubbled surface of Beijing’s huge ‘Water Cube” aquatics centre was cleaned. 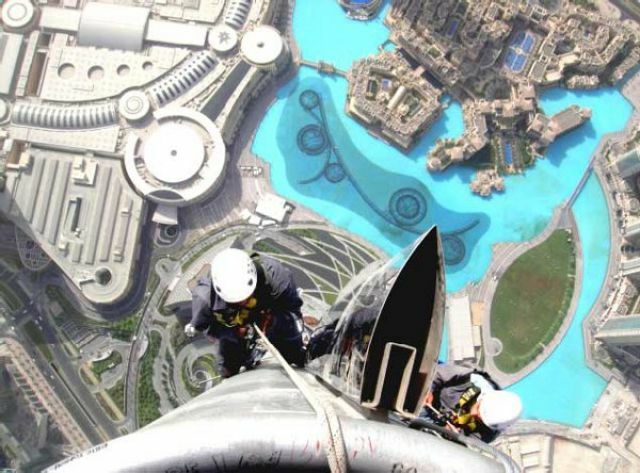 The world’s tallest building requires a lot of cleaning; especially its windows as it boasts a whopping 1,292,500 sq ft of glass and is whipped by sand on a daily basis. 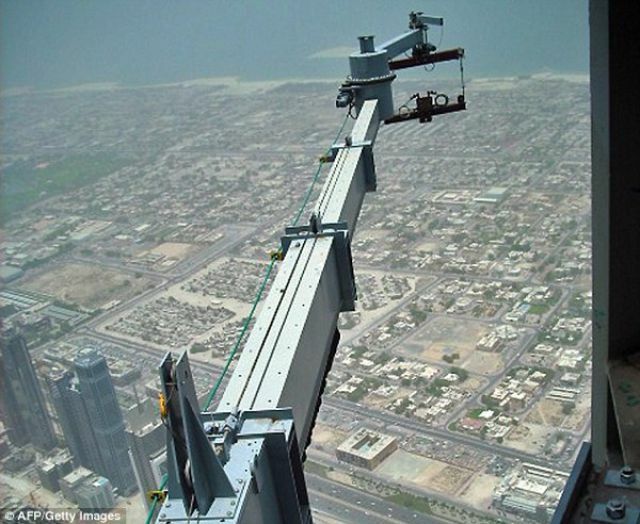 The second photo shows one of many boom units used to lower workers. 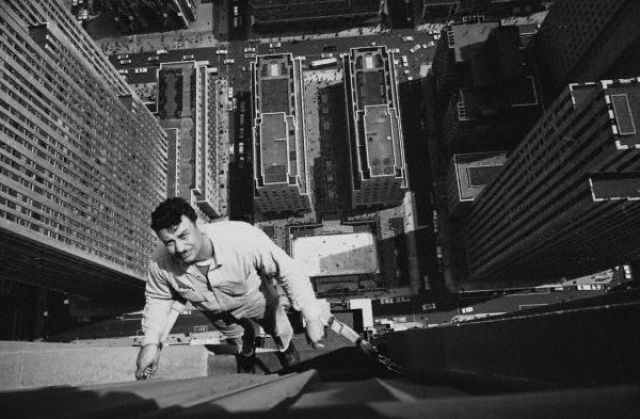 A fearless cleaner stands precariously on a ledge of the Rockefeller Center in Manhattan, in 1961.